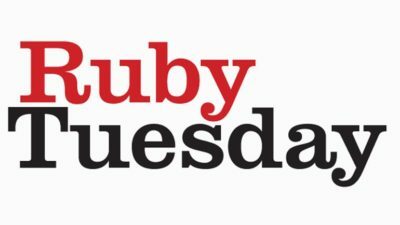 The Ruby Tuesday brand has existed since the 1970s. And just like TGI Fridays, Bar Louie and other big brands, it has provided a great place to grab a drink and a bite to eat ever since. It serves American fare, influenced by countless cuisines, and it also has an extensive drinks menu. It hasn’t always been plain sailing for this brand. But it is still hanging on and going relatively strong, with more than 500 locations across the United States. If you can visit the Ruby Tuesday restaurant or even see the Ruby Tuesday sign without singing the Rolling Stones song of the same name, then you have more self-restraint than we do. If not, then it may console you to know that for the first few years, the founder of this chain was probably in the same predicament, as he took inspiration from the Rolling Stones song to name this restaurant. Not only do this chain owe a lot to a group of iconic rockers, but it is also indebted to Pizza Hut. Quite literally. That’s because the founder, Sandy Beall, built the first restaurant off the back of a $10,000 given to him by the owner of several Pizza Hut chains. Beall expanded the brand steadily from there, launching a new location with each passing year. In 1982, he sold the chain for $15 million to Morrison’s, only to return as the CEO. Enjoy a selection of cuisines, including a mix of Italian, Mexican and traditional Mexican. Ruby Tuesday serves traditional American fare, taking inspiration from all of the cuisines that have influenced the food of this country. There are Southern seafood dishes, Mexican dishes, Italian dishes, Chinese dishes and everything in between. There are options for Lunch, which takes place from 11:00am through to 3:00pm; Dinner, which is from 3:00pm until the restaurant closes; Dessert; and Kids. There is also a catering menu if you want to serve Ruby Tuesday dishes to your guests. New York Strip: A prime cut of beef seared to perfection. Shrimp Shack Platter: Crispy jumbo-shrimp served with a choice of sauces and fries. Fire Wings: Crispy chicken wings that can be as hot as you want them to be. Ultimate Chocolate Cake: A decadent dessert loaded with chocolate, including a chocolate mousse, a chocolate sauce and a chocolate dusting. You can also order from an extensive drinks menu, with cocktails, beers, wine and non-alcoholic drinks. Although small, the Ruby Tuesdays secret menu does exist. Unfortuantely, there isn’t a great deal to the Ruby Tuesday secret menu. This chain is always looking for new angles to exploit new ways to increase sales. Maybe a secret menu could be the answer. The Starbucks secret menu and the KFC secret menu have certainly leant a helping hand to those chains. In fact, in the case of Starbucks, it has even received many TV appearances and was once mentioned on the hit series Orange is the New Black. But as of yet, the people in charge at this chain have yet to jump on the bandwagon and create an extensive Ruby Tuesday secret menu. We do have a few options for you to explore though and we’ll add more as soon as they become available. So, be sure to drop by our Ruby Tuesday secret menu page to see these. For the most part, this is decadent food. If you’re watching your daily calorie intake, then you won’t have much room left over after one of their steaks, burgers or crispy seafood dishes. However, there are “Fit and Trim” options on every menu section. You can find these alongside traditional menu items. They contain fewer calories and less fat, and could be just what you need if you’re looking to limit your intake. Some of these dishes contain just 300 calories, a massive difference when you consider that similar priced dishes can contain in excess of 1,000. To read more, click onto our Ruby Tuesday Nutrition Info page. Here you will find a detailed and up-to date guide on all Ruby Tuesday menu items and their corresponding nutrition info. Ruby Tuesdays is cheap enough for all of the family to drop by. From French fries to steak and burgers, there is no shortage of American favorites on the Ruby Tuesday menu. Ruby Tuesday menu prices are also very reasonable, although because this is a restaurant and not a fast food chain, you can expect these prices to be higher than what you would find on the White Castle menu or the McDonalds menu. The steaks are some of the most expensive items on the menu, averaging around $20. But these are prime cuts of quality meat, which you always pay a little more money for. On average you can expect to pay around $10 for a standard menu item, a price that goes to about $40 when you account for a full meal and tips. The cocktails are notoriously cheap here, making it a great place to drink the night away with friends. You can get all kinds of mixes for just a few bucks, before upgrading to a large drink for an extra $1. To see more Ruby Tuesday Menu Prices, read our updated guide. There are Ruby Tuesdays locations across the United States. In 2016, there were around 550 Ruby Tuesday locations. But this number was in decline at that point and it has remained in decline ever since. In the latter half of the year, it was announced that they would be closing 95 locations, dealing a significant blow to the brand and shortening its reach considerably. There were once over 750 locations and it looked like this brand would have hit the 1,000 mark by now. But it wasn’t to be. This was in the stars for a number of years, and while efforts have been made to stop the rot, including a change of direction and a new brand identity, it remains in a steady decline. In 2002, with sales in decline, Ruby Tuesday kick-started a slew of ad campaigns, releasing a great number of coupons, offering countless sales and more. This helped to stop the decline slightly, but not completely. However, there are still offers and coupons in place, and these can save you a lot of money if you have access to them. The same goes for the Ruby Tuesday Happy Hour, which can help you to secure even bigger savings. Just visit the link to learn more about this. Ruby Tuesday opens for Lunch service at 11:00am, and it stays open until the evening hours, catering for the night-time drinkers and revellers. It opens 7 days a week and the hours are extended on Friday and Saturday, but reduced on Sunday.